Oyster Mushroom is mostly used in dry form and is an excellent source of high protein. Information about the mushroom business. Unit continues to mushroom to visit from the Company will be informed of the date and place. Mushroom business place selection is very important. Getting completed to that information. The entire information is in the form of statistical data, which take note. To view the current unit of mushroom M.O.U is compulsory. When the raw material give and take in company stock. ( According to the raw material price will be Rs.150.). When the company was supplying material (dry mushroom). 450 kg to 500 kg, prices will be admissible. One batch of mushrooms, a time span of 60 days. Given by the company to transportation the raw material will be charged extra. On the eighth day after the delivery order for a company to get raw materials. Creating such a space from 120 to 130 bags can be placed in the rack. One batch is 30 to 35 kg dry mushroom. Creating such a space from 200 bags can be placed in the rack. One batch is 50 to 60 kg dry mushroom. Creating such a space from 300 bags can be placed in the rack. One batch is 75 to 85 kg dry mushroom. Creating such a space from 500 bags can be placed in the rack. One batch is 125 to 150 kg dry mushroom. Creating such a space from 1000 bags can be placed in the rack. One batch is 275 to 300 kg dry mushroom. Mushroom farming can be done within the household, on land or without land in an easy and cheap way. Therefore it becomes the source of income for jobless youth or small borderline framers. As least pests are found in mushroom, minimum quantity of pesticide is used which lessens pollution on land and natural climate. It is less investment and more profit business. It is a cash crop which is less dependent on rains and gives a definite income as compared to indefinite agriculture depending on monsoon. There is a limited need for land, seeds, fertilizer, electricity, water and pesticides. After reaping the mushroom crop, the remaining grass can be used as animal food, a high quality fertilizer or for producing Bio gas. Housewives or jobless children can use their spare time and work from home to support their families by doing mushroom farming. 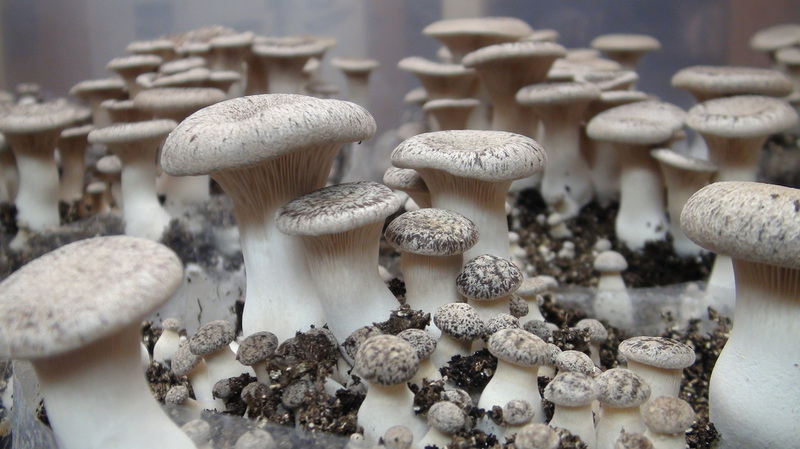 Gujarat’s climatic conditions are suitable for Oyster mushroom farming. It is a short term crop. So the investment returns are within a short period. The company will supply the raw material and accept the ready product. (The rate for raw material will be Rs.150). 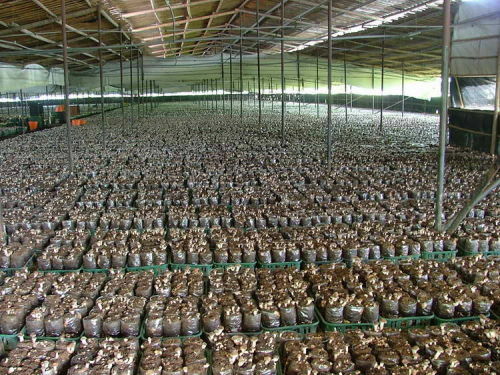 The returns will be paid on 450kg to 500kg ready product (Dry mushroom). (As per the size of the mushroom)(10 kg of mushroom turn into 1 kg dried mushroom). The time period for one batch of mushroom will be 60 days. Transportation charges will be taken for delivering the raw material by the company. The delivery of the raw material will be given on 8th day after placing the order to the company. The date and place for a visit to the running unit of mushroom farming will be informed by the company. Mushroom crop can be reaped the whole year round. It is important to choose the right place for mushroom farming. Complete information should be collected for this. 10% of the Project Cost will be taken as Company’s fee. (This should be paid with MOU). It is to be noted that all the information given above is numeric. It is compulsory to sign an MOU to visit a running unit of mushroom.